As a mum of two I've had my fair share of changing bags over the past three years and you could say that I've got a slight obsession with ordering new bags, although I had never been much of a handbag fan prior to this which some people say I'm mad, just like I'm not into shoes or make-up either. Whilst I was pregnant with Amelia I spent a long time looking for the perfect changing bag and I mean a long time, however I never quite found the one. These days when I look for a changing bag I want something that doesn't look so much like a changing bag, one which can be used as a handbag or a changing bag so I don't have to keep switching everything all the time. 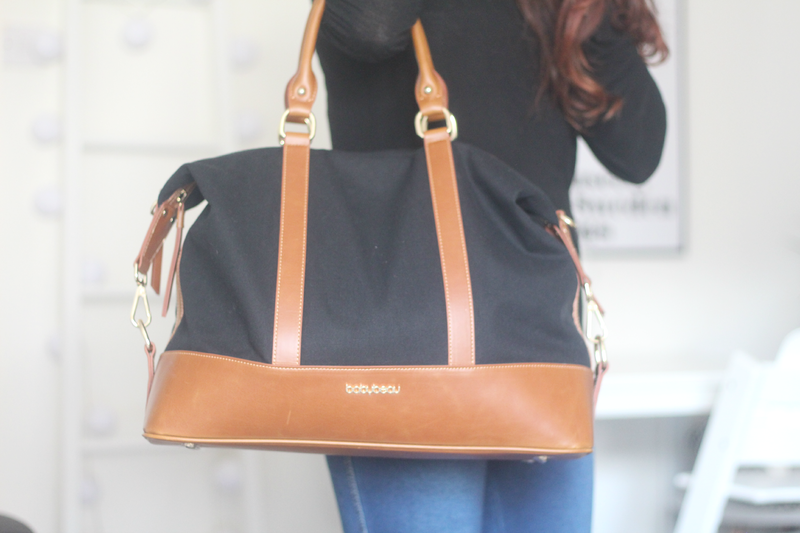 I was recently sent the BabyBeau Isabelle changing bag to review and what immediately drew me towards this bag was how sophisticated and chic it looked, as do all of BabyBeau's changing bags. 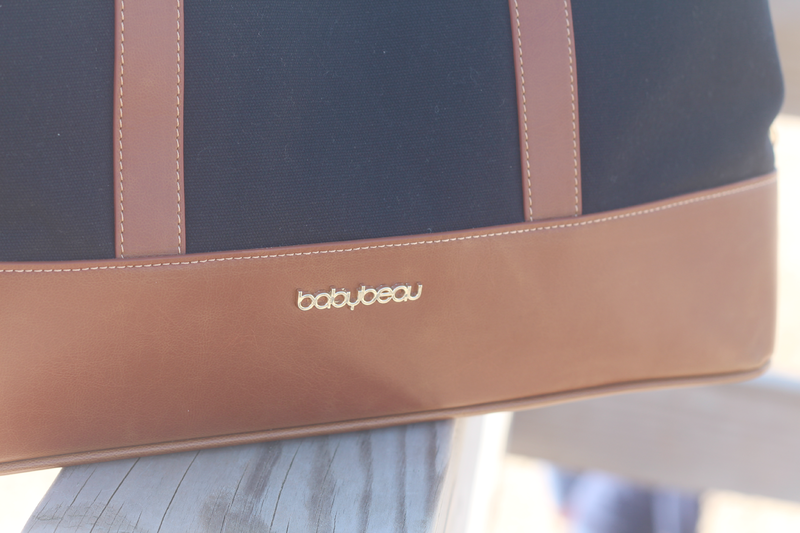 BabyBeau have designed a collection of fashionable changing bags made from luxurious leather. All of their bags combine style with functionality which is something I look for in a changing bag. 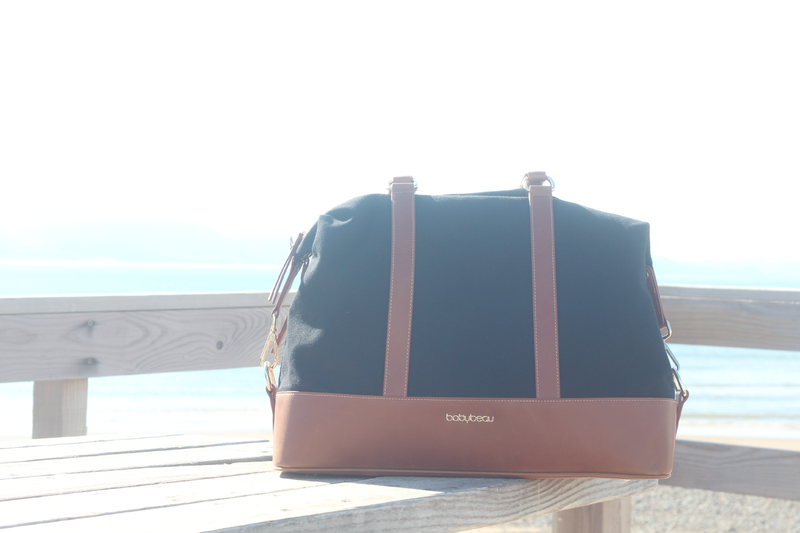 The Isabelle is a durable lightweight canvas and leather tote which also makes an excellent weekend bag because of it's generous size. It's a versatile shape shifting changing bag with a removable organiser inside which can be used as a separate bag for another family member or as a spare bag when out swimming or on a day out. 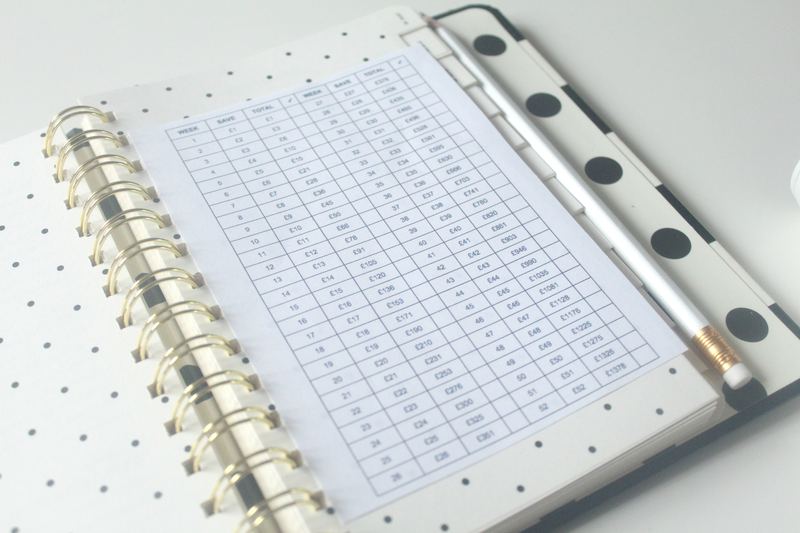 The organiser contains a multitude of pockets which is great for keeping all of your baby essentials organised instead of having to rummage around the bottom of the bag for them. I think the organiser is a great idea and you can remove it to wash it and it keeps the inner lining of your bag clean. 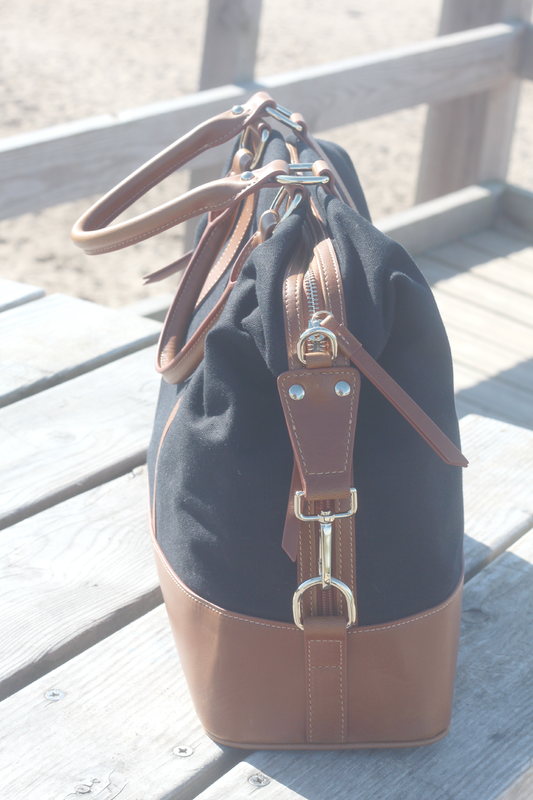 The bag has a beautiful brown leather detailing and gold hardware giving it a casual yet chic look. I think it goes with a lot of outfits and is a great all year round bag if you tend to switch them around for different seasons and it won't outdate either. 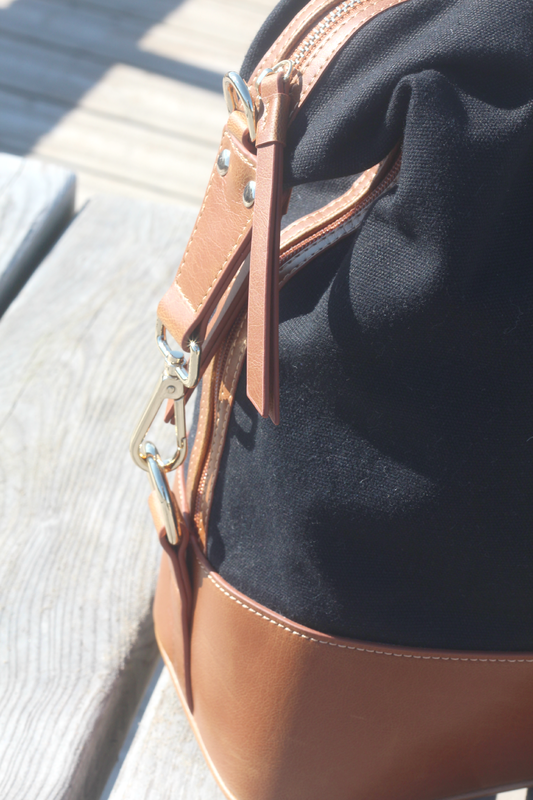 The bag has two stretchy side bottle holder pockets which is great as they're not inside the main bag area and has a zipped compartment on the inside too. The bag has many accessories including a leatherette thermal insulated bottle holder, a padded changing mat and a small detachable zip pouch for keeping important items safe. The changing mat comes with an organiser with many zipped compartments for storing baby wipes, nappies and spare clothes which is very handy when out and about. Inside the changing bag you will find a leather key holder. I like the fact that the accessories match the bag are leather too which make them look luxury compared to normal every day changing mats or bottle holders. The bag is very spacious and even once it's packed with everything I need for a day out with the kids I still have room for more. 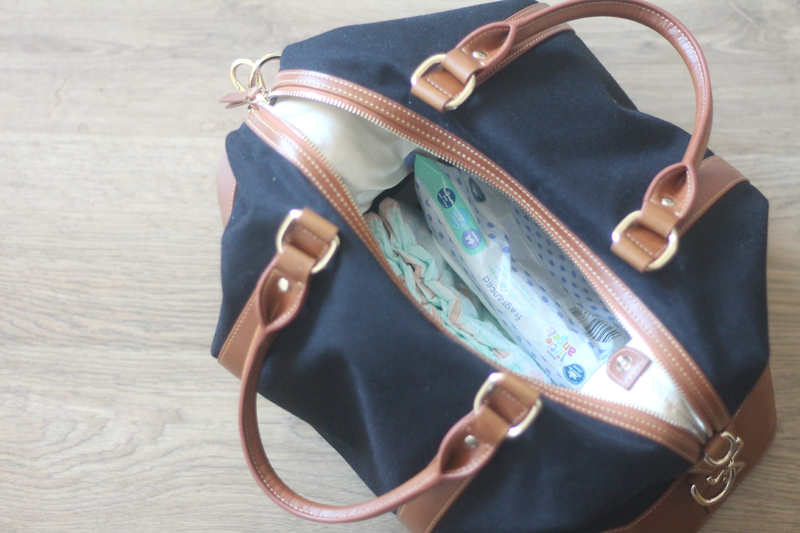 As a mum you end up carrying around so much baby stuff so it's vital you have a bag that is big enough to accommodate everything from baby wipes and nappies to spare clothes and toys. You can attach the adjustable shoulder strap if you wish to wear it with one or hang it over the pushchair, I tend to hang it on the pushchair with a clip on the handles and I don't really use the strap as I never wear the bag when I'm out. I'm sure when Harry is older and walking I will get more use out of wearing the bag with the shoulder strap. You can also attach the strap to the organiser which is handy if you're wanting to take a smaller changing bag out with you for the day. The Isabelle is very lightweight and you can fit plenty inside which is why it's great to use as a hospital or weekend bag. 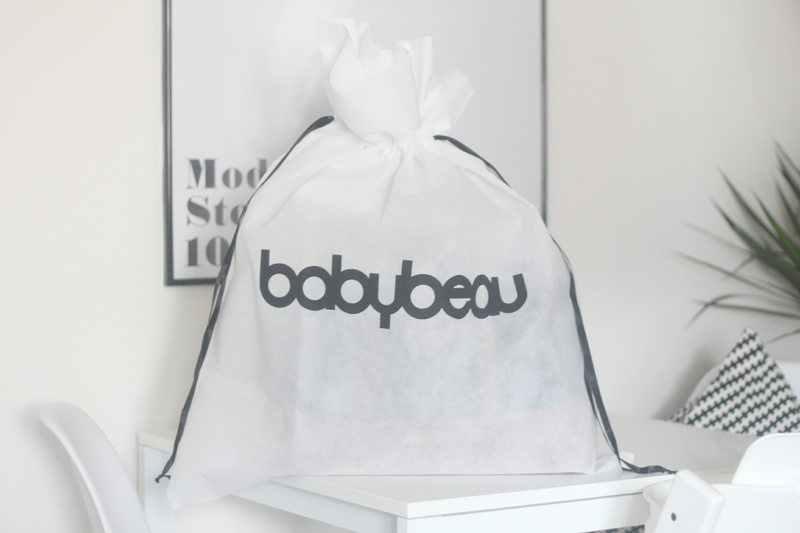 Another fantastic feature I love about BabyBeau bags is the fact that they come with a dust bag! As someone who owns a lot of changing bags there's nothing worse than coming to change around your bags and finding that one is covered in dust or has got ruined! The dust bag is perfect if you're a changing bag hoarder like me and like to store them away. Overall I think this is a great changing bag and if you're looking for a bag which you can use as your hospital bag, a changing bag or a regular handbag which is stylish and not overly expensive (£109.95) then this bag is for you! * We were sent this bag for the purpose of this review. All opinions are my own. 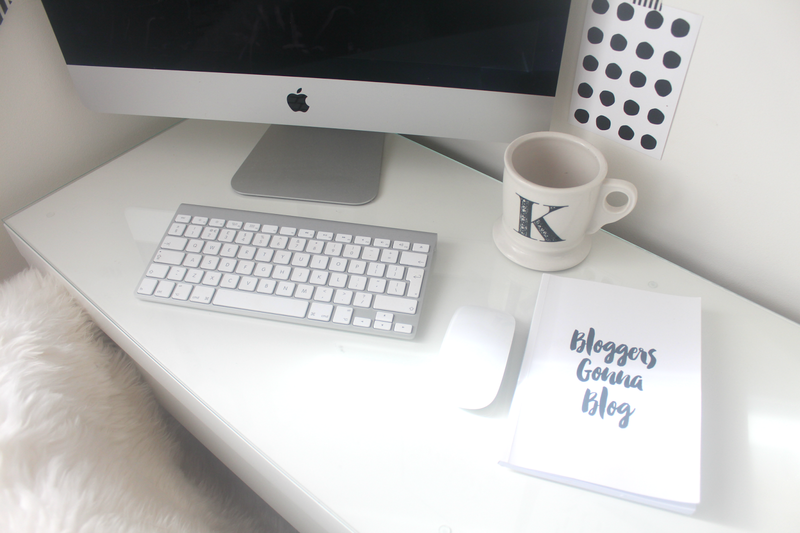 For details on how I work with brands take a look at my work with me page. I really love the washable aspect too! So many bags I've had which you cant wipe clean and become stained! What a beautiful stylish bag!! I would have loved a bag like that when my children were babies. Baby bags are really getting more stylish. This one is gorgeous! Great review! 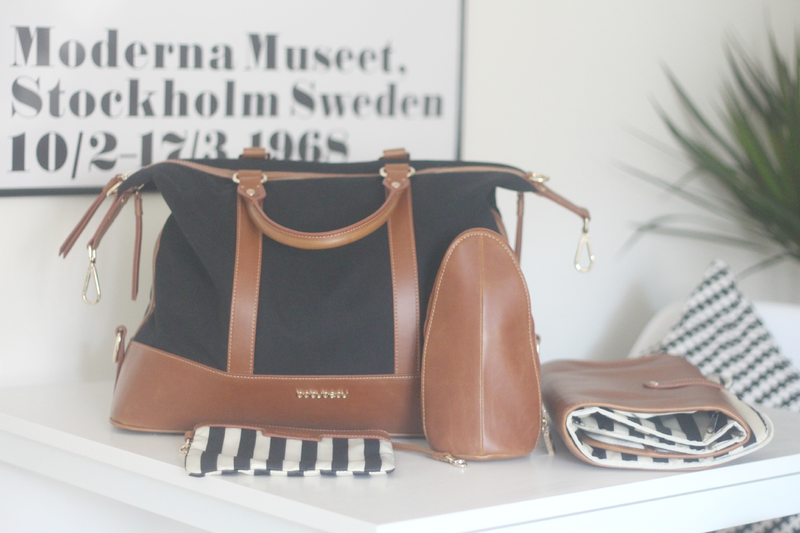 I really like this bag, it would double up as a great weekend bag. This is a really great bag, I can't believe it's a changing bag - so stylish. I love the way this bag looks, very stylish. It seems like the prefect size too. It's really nice, looks very classy. My son is 5 and I still use a change bag to cart around all the usual mum stuff on days out as they are a good size. 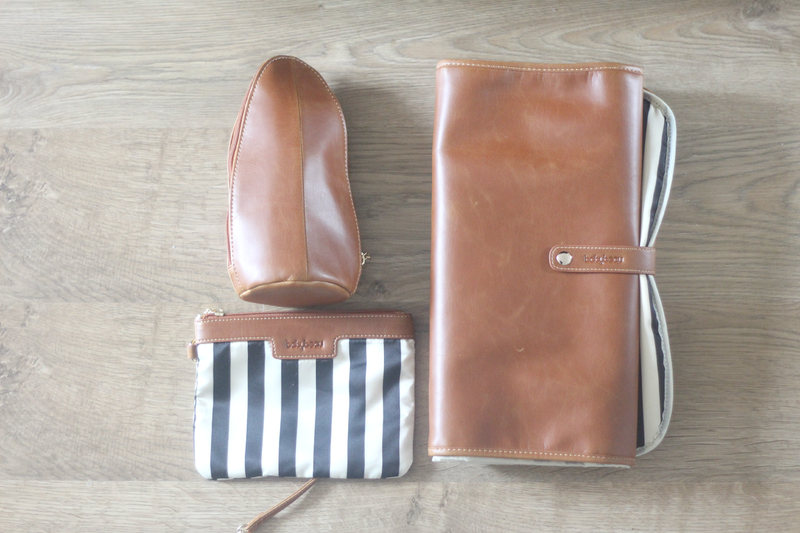 Such a beautiful changing bag that you'll be able to use as a regular handbag afterwards! This bag is gorgeous! 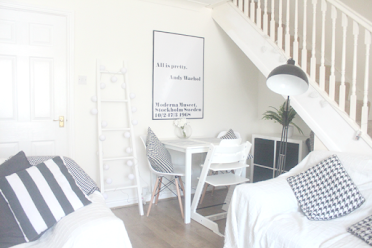 So practical but stylish too! I LOVE the look of this bag - very stylish and it looks like a lovely handbag as opposed to a change bag. oh I now totally need a new nappy bag after reading this!!! Gorgeous!! That is one gorgeous bag!! I love it and a great price too. It is really fine, appearance rather trendy. My best young man is certainly 5 together with That i also try a improve container that will shopping cart approximately most of the ordinary mother equipment regarding days or weeks released as they definitely would definitely be a superior specifications. An additional wonderful function I really like regarding BabyBeau totes is actually the truth that these people have a dirt tote! Because somebody the master of lots of altering totes there is nothing even worse compared to visiting alter close to your own totes as well as discovering that the first is protected within dirt or even has destroyed! The actual dirt tote is ideal if you are the altering tote hoarder such as me personally as well as prefer to shop all of them aside. We want I often stick with a market relating to others, relating to any blog. People are notably linked with using unquestionably executive around prefer will begin choosing great blog extremely fast.